USO of Metropolitan Washington-Baltimore (USO-Metro) is proud to celebrate the USO’s 75 years of service to the nation’s active duty military members and their families. Elaine Rogers, President and CEO of USO-Metro, will celebrate her 40th anniversary with the 501c3 nonprofit organization on July 1. Rogers is the longest serving charter president in the USO’s 75 year history. Over the past 40 years, under Rogers’ leadership, USO-Metro has grown to become the largest USO charter in the world. With America’s military growing rapidly in response to the increasing threat preceeding America’s entry into World War II, President Franklin Delano Roosevelt challenged six private organizations—the YMCA, YWCA, National Catholic Community Service, the National Jewish Welfare Board, the Traveler’s Aid Association and the Salvation Army—to handle the on-leave recreation needs of members of the armed forces. These organizations pooled their resources and the United Service Organizations—which quickly became known as the USO. The founding organizations are honored today with the six stars on the USO logo. 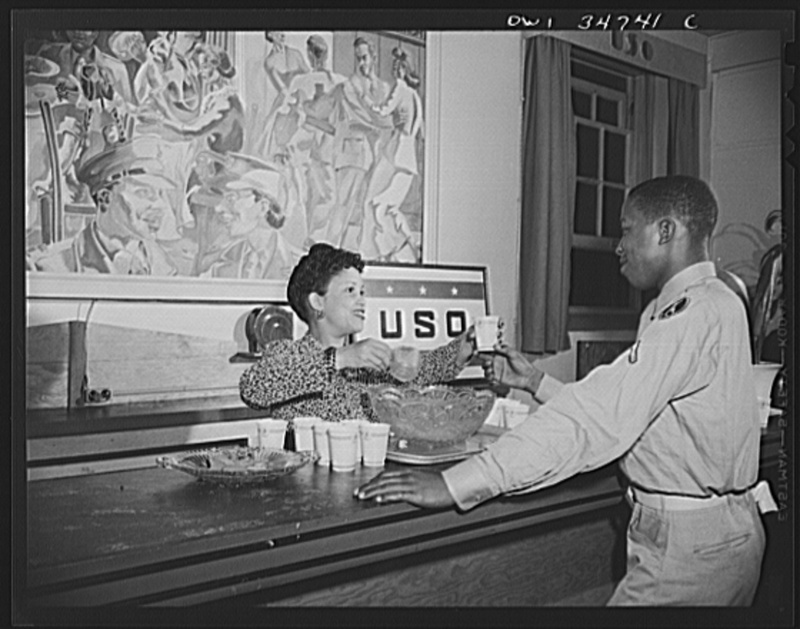 Library of Congress: Washington, D.C. A typical scene in the Phyllis Wheatley YWCA USO, showing a volunteer worker, Mrs. Alfred Scott, serving a soldier. Over the last four decades, Rogers has been witness to the ever-changing and increasing needs of military members and their families and has been an integral part of addressing them. She says that one of the biggest shifts for the USO occurred in the 1970’s when the nation went from a draft to an all-volunteer force. As a result of that shift, today USO-Metro provides hundreds of family focused-programs a year including Operation Community Connection which aims to introduce military families new to the area to USO-Metro and other community services available to them; Operation Basic Boot Camp which provides military teens the opportunity to make new friends and to learn about their parent(s) military experiences; Movies on the Lawn and Fall Festival which are seasonal community events aimed at bringing military families together; and holiday programs such as Project Elf and Turkeys for Troops. Another significant shift occurred following the September 11, 2001 terrorist attacks against the United States. 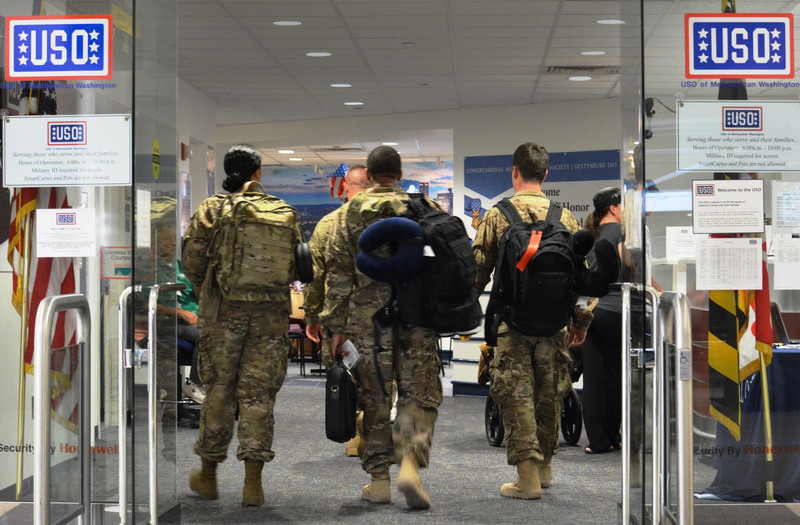 In addition to increasing military family programs for those left behind, USO-Metro began to focus on the needs of the wounded service members coming home from war to local military hospitals. 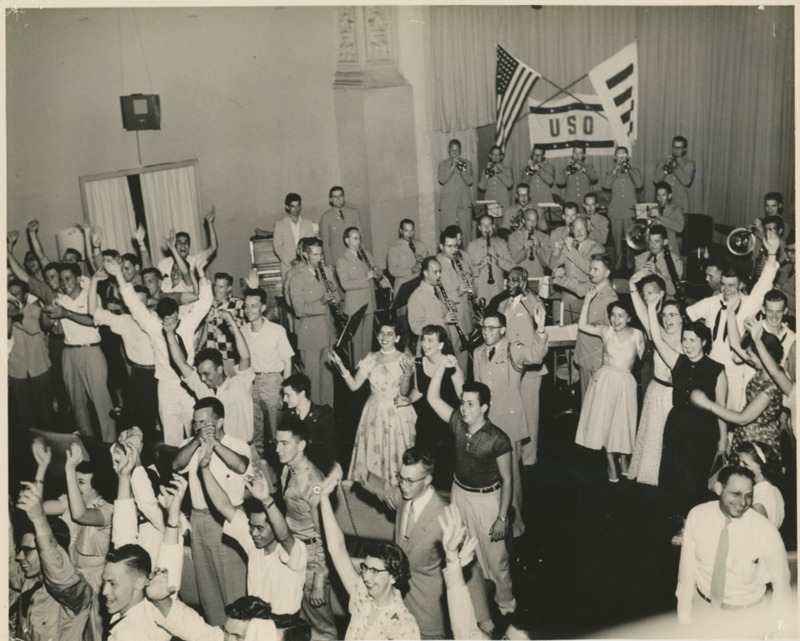 Famously known for boosting the morale of America’s troops through entertainment, USO-Metro escalated its Celebrity Handshake Tours and made it available to local military hospitals in the Washington, D.C. region. 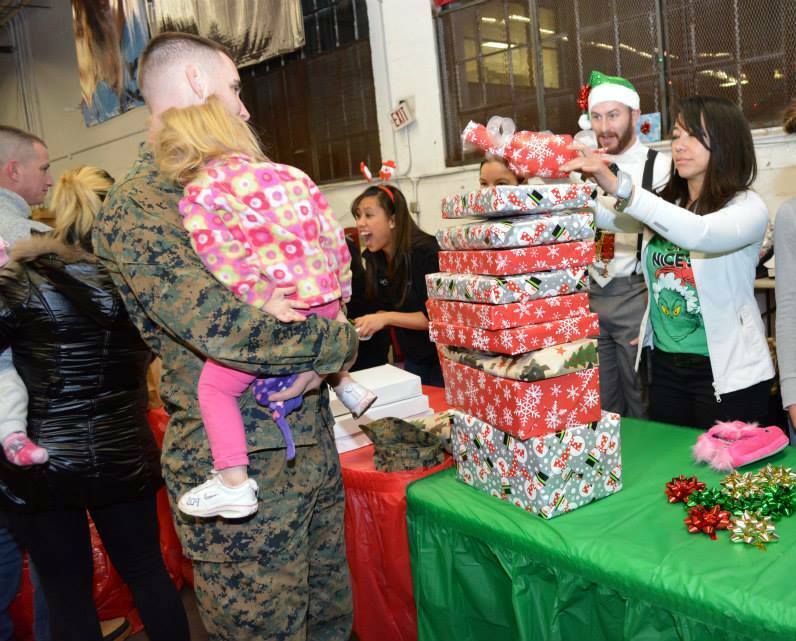 Over the past 15 years, USO-Metro has conducted hundreds of celebrity visits and continues to do so today. USO-Metro has arranged celebrity tours for Angelina Jolie, Jon Stewart, Tom Hanks, Matthew McConaughey and Garth Brooks just to name a few. USO-Metro has also put on live concerts with the Doobie Brothers and several with Gary Sinise and his Lt. Dan Band. 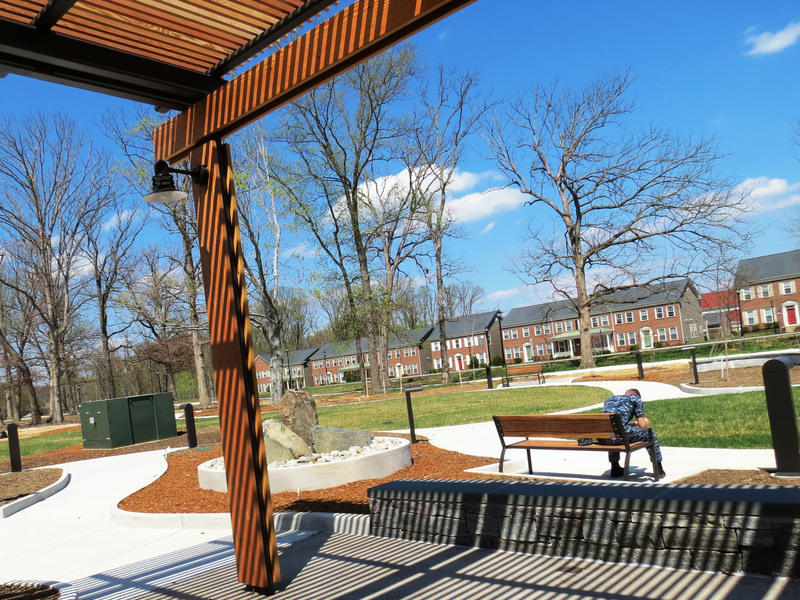 The focus on providing services for wounded troops and their caregivers recovering at local military hospitals would ultimately lead to the building of two of the largest USO centers in the world: The USO Warrior and Family Center at Naval Support Activity Bethesda, home to Walter Reed National Military Medical Center and the USO Warrior and Family Center at Fort Belvoir, located near the Fort Belvoir Army Community Hospital. 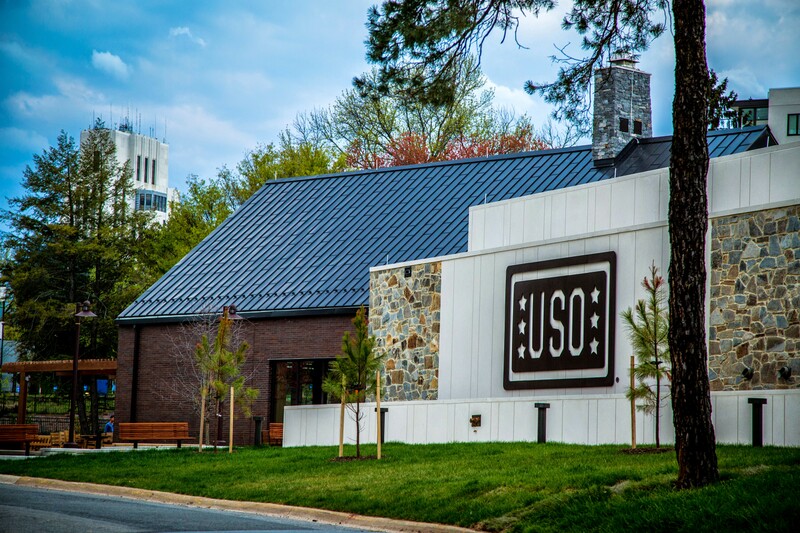 These two state-of-the-art centers which are equipped to accommodate the needs of wounded service members were built and funded by USO Headquarters and are operated and managed by USO-Metro staff and hundreds of dedicated volunteers. Today these centers provide services to active duty military members, their families, wounded, ill and injured service members and their caregivers. At these centers, USO-Metro works with military hospitals and best-in-class nonprofit organizations to provide high-value programming and impactful services, especially for wounded warriors. 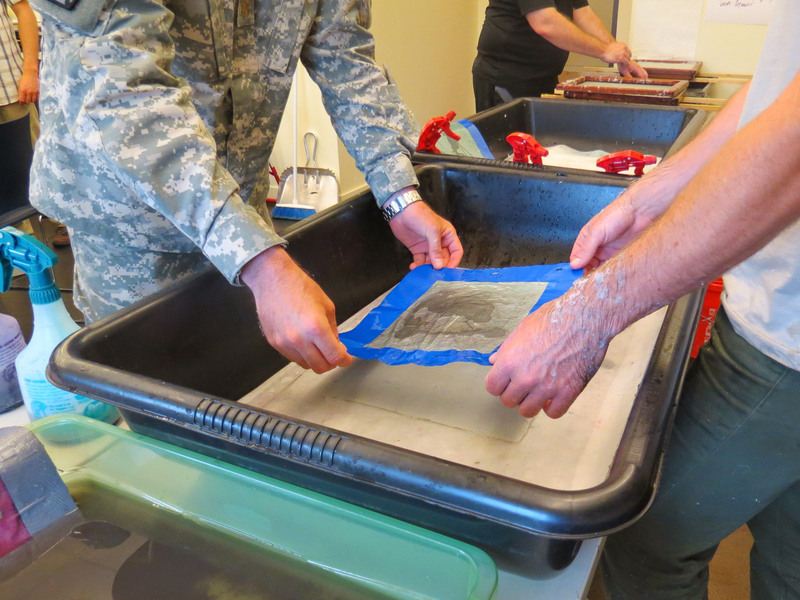 Programs include Combat Paper, Music and Words, Outdoor Sports and a host of other therapeutic programs – all at no cost to the service members and their caregivers. 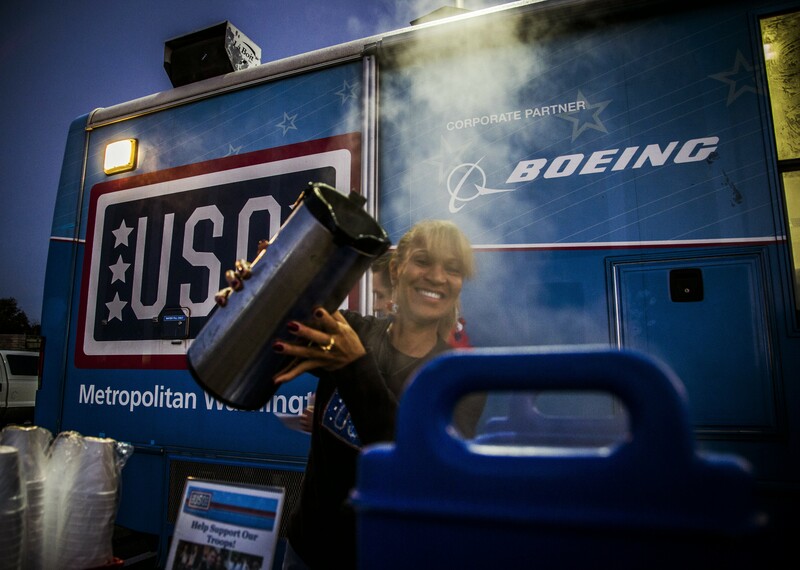 One thing that has remained the same throughout the USO’s history is it volunteers. 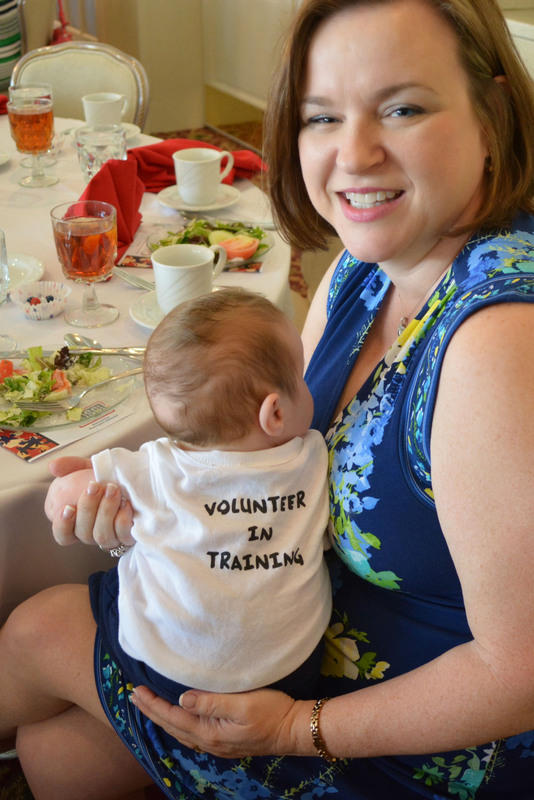 For 75 years volunteers have been the rock-solid foundation and heart and soul of the nonprofit organization. As USO-Metro heads into the future, it currently has plans to open a USO Center on Marine Corps Base Quantico. In addition, thanks to a generous donation from The Boeing Company, USO-Metro will receive a brand new Mobile USO which will provide USO services to service members and their families at nearly 30 military installations located throughout the Washington-Baltimore region.